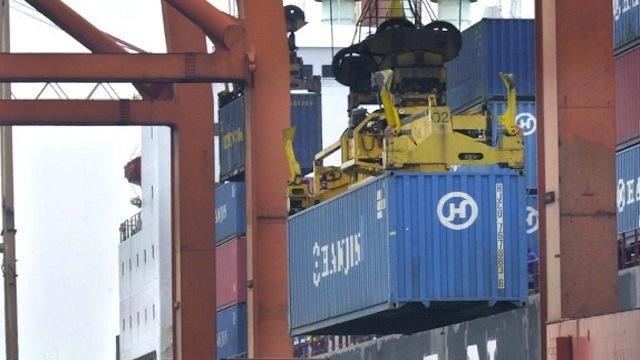 The klaxon bells are now blaring to signal the approach of a critical level in the problem caused by the truck ban imposed by the Manila City Government on the operations of the Port of Manila, notably the Manila International Container Port and South Harbor. In his column, “Market Files” that came out in the Business Mirror, Lito Gagni warned that the situation is nearing “tipping point” and the negative consequences on the national economy could prove disastrous. The truck ban is just one of the factors, Gagni pointed out. The situation is also aggravated by the longer processing time for import papers and the LTFRB/LTO crackdown on the operation of trucks without franchises, or better known as “colorum”. Already, the Bureau of Customs has suffered from a shortfall in its collections vis-a-vis its goals. For the first quarter for 2014, it generated collections of P86.501 billion, but this was 8.73% short of its target collection of P94.778 billion for the period. The trend continued in April 2014, with the agency posting only P30.5 billion, or P5.26 billion short of its P35.76 billion goal for the month. Unless the President of the Republic steps into the picture and intervene, our country’s economy could suffer from a man-made disaster from which recovery might be as difficult as getting back on our feet after Yolanda. Filed under Uncategorized Tagged with Bureau of Customs, city of Manila, John Sevilla, Lito Gagni, LTFRB, Manila International Container Port, port of Manila, Pres. Benigno Simeon C. Aquino III, South Harbor, truck ban, Zim Integrated Shipping Services Ltd.